The Lottery system is a system, which provides people with numbers, and the individuals are made to choose their own numbers, which are referred to as “winning numbers”. Most people have classified lottery as gambling, in the sense that it is a win or lose affair, you either stand a chance of winning or losing a great sums of money. There are several games that have very similar nature but which are not what they really are; For example, many telecommunication companies have recently introduce lottery in most of their promotions. The same way individuals are allowed to text that is the same way the lottery system works, but the only difference is that for the lottery, it is the prediction of a number (s), whereas for the promotions, answers are demanded from people. There are winners in both, but for the promotions, winners are determined by the highest voter or texter, whereas for the lottery, a winner or winners are determined by numbers drawn. The Lottery system is just like the solution of Mathematical Probability, where every number has an equal or fair chance of appearing. The lottery machine or sometimes jackpot machine is loaded with “lottery balls”, balls with numbers written or printed on them. The machine is turned round for sometime then one of the balls is made to fall, the numbers on the fallen balls becomes the winning numbers. There are several ways of predicting lottery numbers. Individuals choose numbers, taking certain things into consideration. Some people have some numbers they call lucky numbers, so they are quick to use them. Other use their date of birth, that of their spouses, parent; etc. The numbers chosen by the individual depends on how that number has been of help in time past. Some other people also stake the lottery based on past analysis of the draws; this is done by closely observing the pattern in which numbers occur, and then you select your numbers based on that others too use permutation and combination to choose numbers. The system you use is likely to increase your chance of winning. The lottery system, does not reward people based on experience, but with experience you choose numbers easily yet still winning is just by luck. 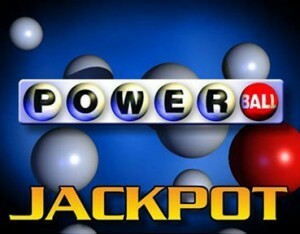 Now that you have an ideal of the lottery system, how do you plan to influence the number(s) you stake next time? 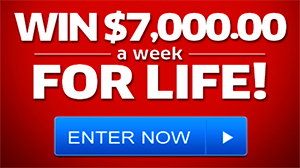 « Do people really win online sweepstakes? Someone hit the 500+ million Florida PowerBall. Would be nice if I could win the lottery for that much. I’ve won a few times of course, but come on – 500+ million lotto winner!